Discover the very best in village pub food and drink at The Plough. With the freshest, locally sourced food, an extensive range of beers and wines, and a great ambience - it’s definitely the place to come! Our second visit and once again the food was excellent. It was a quieter evening in the pub but it didn’t detract from the evening. We discovered the pub through Tastecard and have already recommended to several friends. This was our third visit and I have to say we were disappointed. The table was booked for 13.30 and when we ordered we were told there was a 30 minute wait for food. By 15.20 we had only had our starter. We had to keep asking where our food was rather than being kept informed. We were refunded half of our food bill and had a free round of drinks which did help somewhat, however we had booked for 13.30 because we needed to get away die to having a 4.5 hour drive home after. The food was good with good size portions. Not sure if we will return as we can't rely on the service. Disappointing as we have been very happy in the past. The food is excellent, fresh, well prepared and generous portions. The atmosphere is very friendly and welcoming and the staff very helpful and professional. Good value for money, this was our second visit and we will be calling again. Couldn't fault anything during our time at the Plough, Galgate. First time with s party of 8, food was great, quick service and very good value for money. Great choice on the menu, friendly staff and fabulous quality food. We had a lovely meal on Saturday night for 8 people. We really enjoyed the food & all agreed it was the best pub food we'd had in quite a while. The service was great too. There was a good atmosphere but there was no music playing in the dining area which would have enhanced our experience. Excellent food, excellent service. A really enjoyable meal for all the family. Cannot wait to come back! We had our family Christmas lunch on 2nd December 2018. It excellent, quality, service, value for money. 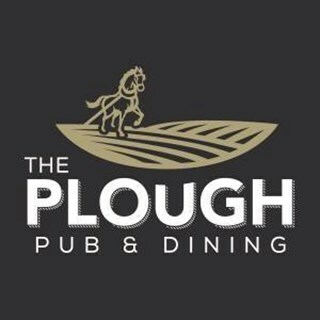 We would certainly recommend the Plough to everyone. Well done to all staff and a very Merry Christmas. Have eaten here twice recently, both times the food was delicious,plentiful and the staff were helpful and efficient. I will definitely return. On our table of 12 we got fast and friendly service. The only disapointment was the halloumi and roast v3g hot sandwich. The only roast veg was pepper and the halloumi was rubbery. Not value for money. Less bread and more filling would be the recommendation. despite being very busy, the service and quality of food was spot on, staff very friendly and attentative, and a jolly atmosphere prevailed. We coincided with a large party watching the football which made the atmosphere a bit noisy, but they were good-natured and this was clearly not the pub's fault! The staff were very helpful, taking our orders at the table so we didn't need to elbow our way to the bar, and the food was really good, well cooked and presented and really good, thank yo. I have  eaten at the plough on several  occasions before and always been really impressed by the food and service. In this occasion the food was a little disappointing. I had a jacket potato with coronation chicken. The potato was greyish inside quite small with only a couple of pieces of chicken and lots of the creamy sauce . Not the ploughs usual standard at all . Still great customer service though.